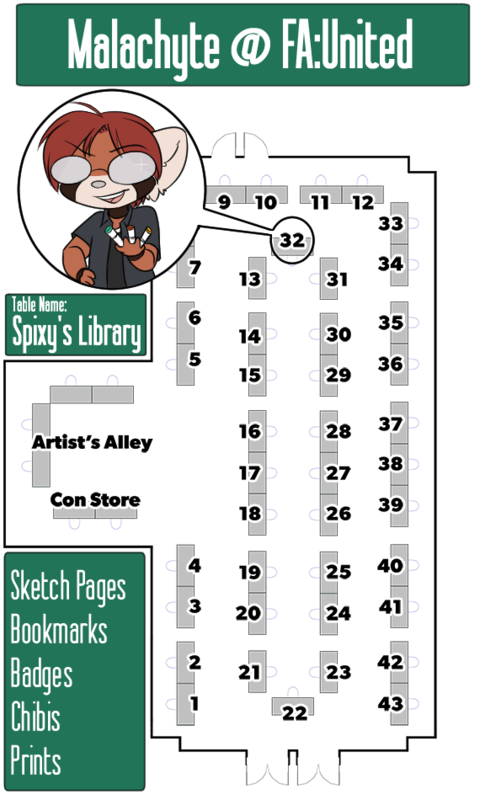 Here's the map I linked in my most recent journal of where I'll be located during the convention. Should be a pretty easy table to spot! I'll be offering a couple things at the convention, as listed on the picture above. I'll be posting examples of the bookmarks and badges in just a little bit! Ugh, wish I was going. Aw man you got a prime table, more room for people to see and you don't have other tables crammed to your left and right. Lucky panda. I'll be stopping by for sure!